I'm new to Alfred, and I'm trying to get snippet set up. I have the Power Pack. I turned on my Clipboard History and then worked for a day, copying and pasting at least 30 times. There are still no snippets in my Clipboard History. So then I tried to set the snippets up manually. I copied a bit of text I'd like to use as a snippet. Then, per the instructions used the "Cmd + S hotkey in the Clipboard History viewer to save a text clip from the clipboard as a snippet." Absolutely nothing happened. 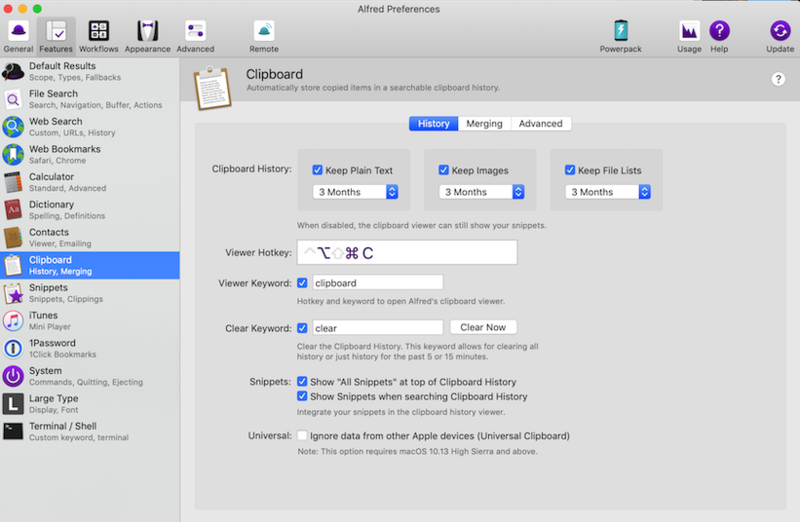 Clipboard History is a less-permanent list of the items that were copied to the clipboard automatically as you pressed Cmd + C throughout the day. Snippets are manually created in the Snippets preferences (of copied from the Alfred Clipboard History using Cmd + S if you already have Clipboard History entries) for the purpose of saving longer term. @KarenZ As far as I can see, you're on macOS Mojave, but please let us know the exact version you're using for both macOS and Alfred. Could you please provide screenshots of the Snippets and Clipboard History preferences? And let me know what steps you've taken to start using the Clipboard/Snippets? Yes, Mojave 10.14.3. And Alfred 3.8. Oooh that makes sense. Thank you! Here's my Clipboard history. Or what should be my clipboard history and isn't? @KarenZ Sorry, I missed your second post! As I explained in my first reply, there is a difference between Clipboard History and Snippets. For Snippets, Alfred should request access when you set them up. Do you recall whether you followed the steps when "Welcome to Alfred's Text Expansion!" 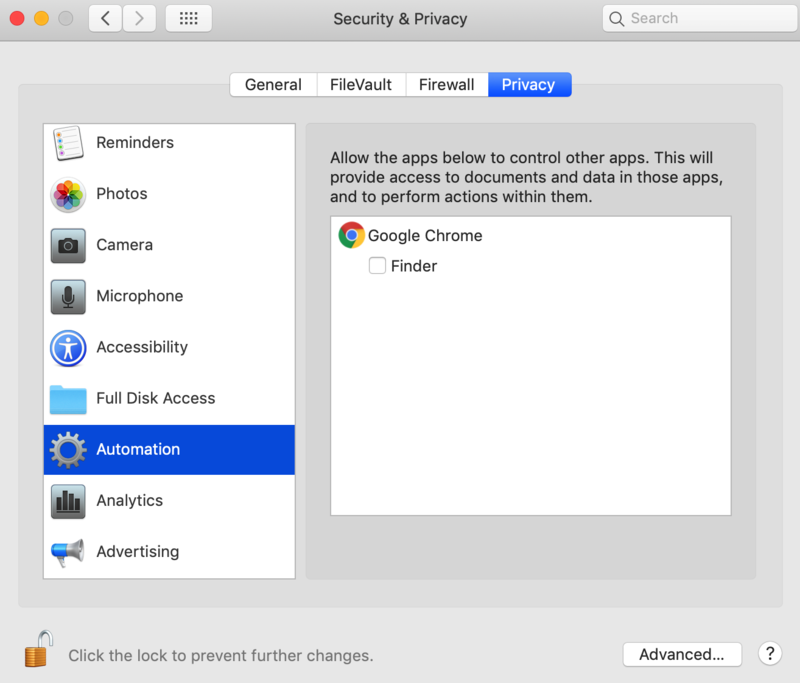 pops up and takes you to System Preferences to grant access? 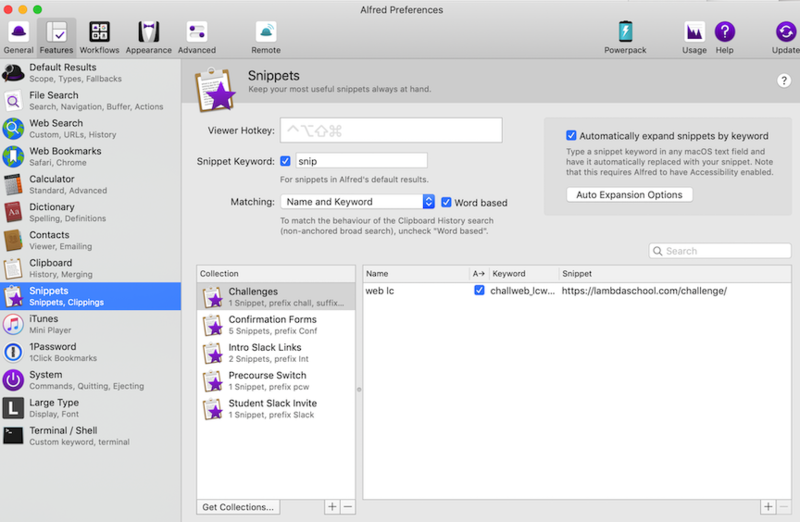 This means that your apps request Automation permissions again, so follow the steps to set up Snippets again in Features > Snippets by unchecking and re-checking "Automatically expand snippets by keyword" (where you'll get the "Welcome to Alfred's Text Expansion!" message and will need to grant Automation rights to Alfred. For Clipboard History, check the Accessibility permissions and see whether you've granted Alfred permissions as outlined in my first reply. If the issue persists, type "clear" into Alfred and choose "Clear Clipboard History". Hi @Vero, I had the same problem. Following your instruction for Clipboard History solved the problem for me. I followed the steps and have still not seen a "Welcome to Alfred's Text Expansion" message. I followed the steps in your earlier email as well. @KarenZ You still haven't specified whether you're looking to use Clipboard History or Snippets; Could you please let me know which feature you're trying to use and what steps you've taken, as it'll make it easier for you and I to work out where the issue lies. 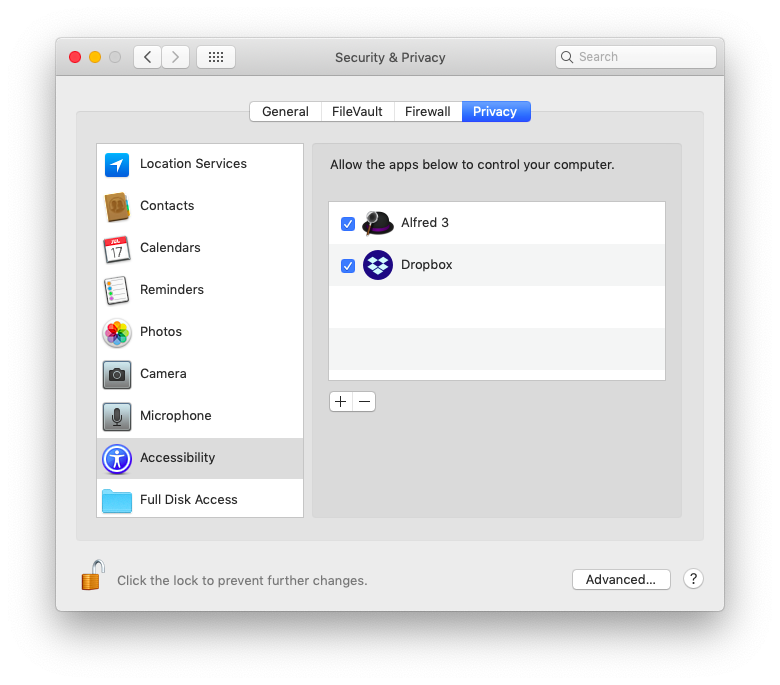 Take a look at your System Preferences > Security & Privacy > Privacy > Accessibility preferences, which should look like this including the checkbox next to Alfred 3. If the box is not yet checked, it means you didn't grant Alfred permissions earlier, so check the box now. Thank you. Yep, I know there's a difference. I'm trying to use Clipboard History, Snippets and Text Expansion. 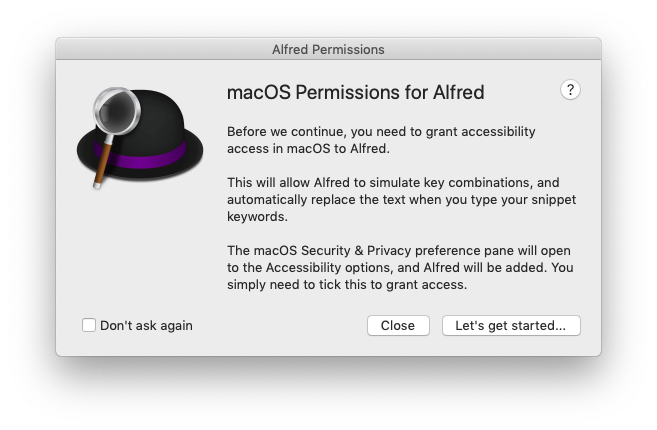 Yes, I had already granted Alfred permissions. I am still unable to get any Alfred features to work at all. What info can I provide so you can diagnose my issues, and help me get started? We'll then take it from there.